32 years, 8 months, 29 days old age. Colin de Grandhomme will turn 33 on 22 July, 2019. Only 3 months, 1 days, 22 hours, 13 minutes has left for his next birthday. Colin de Grandhomme has celebrated the total number of 32 birthdays till date. See the analysis by days count and bar graph. Colin de Grandhomme was born on 22-07-1986 in Harare, Zimbabwe. He is a Zimbabwean-born New Zealand Cricket Player. Colin de Grandhomme is an explosive all-rounder of New Zealand. He is somebody who is best suited for the shorter version of the game with big hitting prowess and some fine death bowling. He after a series of consistent performance at the domestic level was given a national call-up. He forced his way into the side after scoring three centuries in the Plunket Shield Trophy in 2016. He was instrumental in his side Auckland lifting the HRV T20 Cup in the year 2011. He was born in Zimbabwe and has played for them in the 2004 ICC Under-19 World Cup. He relocated to New Zealand to further his cricketing career and find some better opportunities. He was first picked by New Zealand in their Emerging Players team in 2009 which took part in a quadrangular tournament held in Australia. After some fine performances at the domestic level, he was again included in the New Zealand Emerging Players squad in the year 2011. Since 2011, he has scored prolifically and over 600 runs in a single domestic season for three times. After such fine performances, a national call-up was beckoning and he finally made his Test Debut for New Zealand in 2016 when Pakistan toured New Zealand. Thus far in the 6 Tests that he has played for New Zealand, he has picked up 16 wickets and has also played some crucial knocks with the bat as well. Though, he hasn’t been as effective in the One Day Internationals or T20I for that matter at the international level. With age on his side, he can still force his way into the side and can be a New Zealand fine all-rounder in all formats of the game. He was roped in as a replacement for Andre Russel by the IPL franchise KKR in 2017. He played 12 matches for them and did score some crucial runs for the side but disappointed heavily with his bowling. He leaked runs at an economy of approx 8.5 and picking just 4 wickets in12 matches. He then went to RCB in the IPL player auction 2018 and has played for them since then. 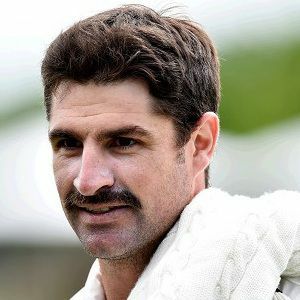 He was born to late Laurence Leonard de Grandhomme.